Watching the film added my want to visit and see the amazing things in Jerusalem. The film shows the importance of one of the fundamentals of all religions, which is our love for brotherhood and getting to know one another and being there for each other; this will eliminates lots of problems in the world like war and poverty. This IMAX film Jerusalem explores on a grand scale the intersection of science, history and religion in this remarkable city. 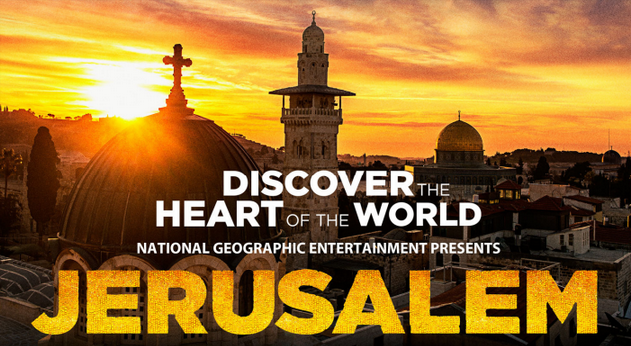 The film gives audiences a rare glimpse of the ancient, storied city, as well as access to memorable sites including the Western Wall, the Church of the Holy Sepulchre, the Dome of the Rock, the Jordan River, the Sea of Galilee, and the mountain fortress of Masada. Filmmakers were granted special permission in the region’s strict no-fly zone, enabling them to capture the first-ever large format aerial images of the Old City and throughout the region. “Through the unrivalled beauty, visceral nature and incredible technology of the giant screen format, you feel as if you are experiencing Jerusalem up-close and first-hand,” said writer/director Daniel Ferguson. Archaeologist Dr. Jodi Magness travels underground to investigate some of this city’s greatest mysteries. My family and I also had the opportunity to check out the Science of Rock ‘N’ Roll, a new exhibition at the Science Centre, which will run until October 26, 2014. It explores how advances in science and technology have revolutionized how we make, listen, experience and share music. The first YouTube video featured co-founder Jawed Karim at the San Diego Zoo was uploaded on April 23, 2005 and within a few years YouTube became the most popular source for free music in the world. The Internet was most revolutionary has well as the most disruptive innovations of the 20th century that connected people virtually spanning time and distance and allowed fans to share music like never before. In the early 1990s hard drive space on personal computers was expensive and a single song could take up to 20 percent or more and downloading a song over a dial-up modem took hours and record labels were not concerned about file trading. The Science of Rock ‘N’ Roll features seven distinct areas. 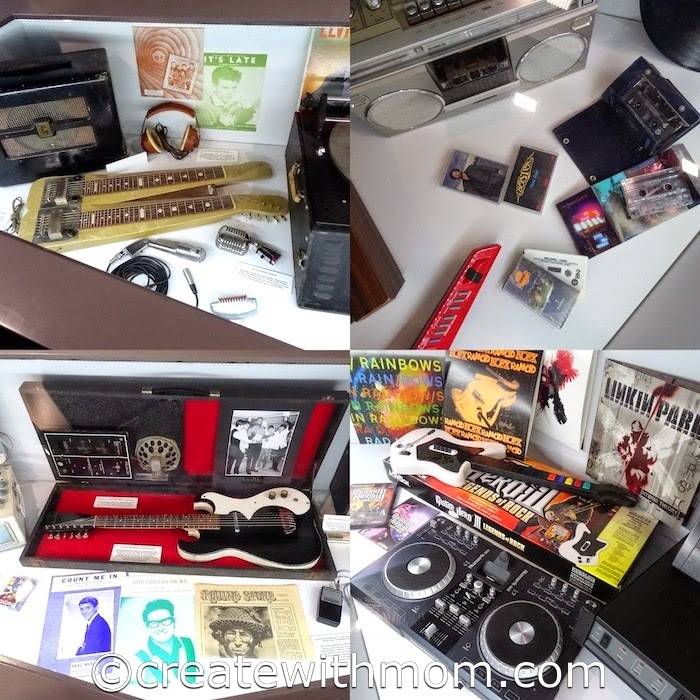 • Decades of Rock showcases the history and evolution of rock from the 1950s to the present day, using artifacts, photos and informational panels. • Rock Composed features interactive displays that demonstrate how tone, pitch, key, rhythm, tempo, timbre, melody, hook, harmony and contour all come in to play when composing rock music and how these elements affect the listener’s experience. • The Tools of Rock allows us to try an array of five instrument kiosks that teach and encourage to record our own rock ‘n’ roll music. Through the deep dive kiosks, visitors will learn how guitars, bass, drums, and keyboards work. 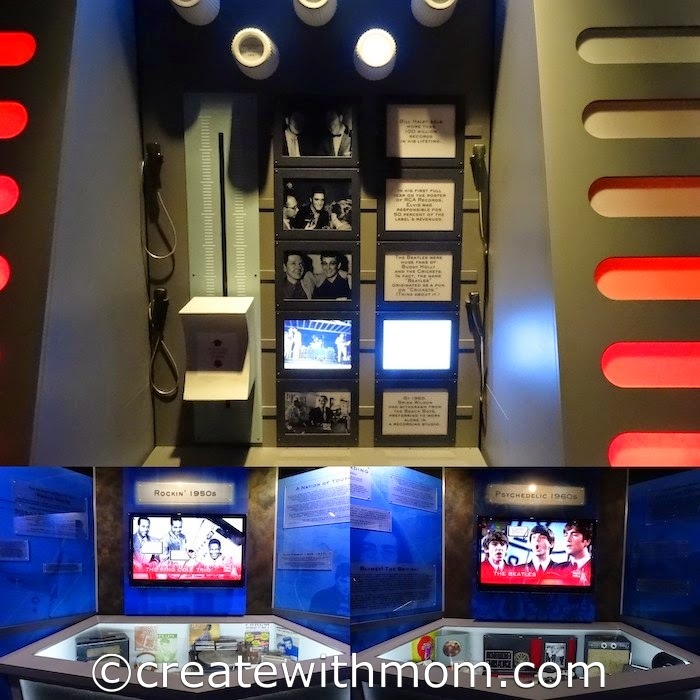 Using The Science of Rock ‘N’ Roll backstage pass, which is available onsite for an additional $2, visitors can retrieve the content they create and share it with family and friends. 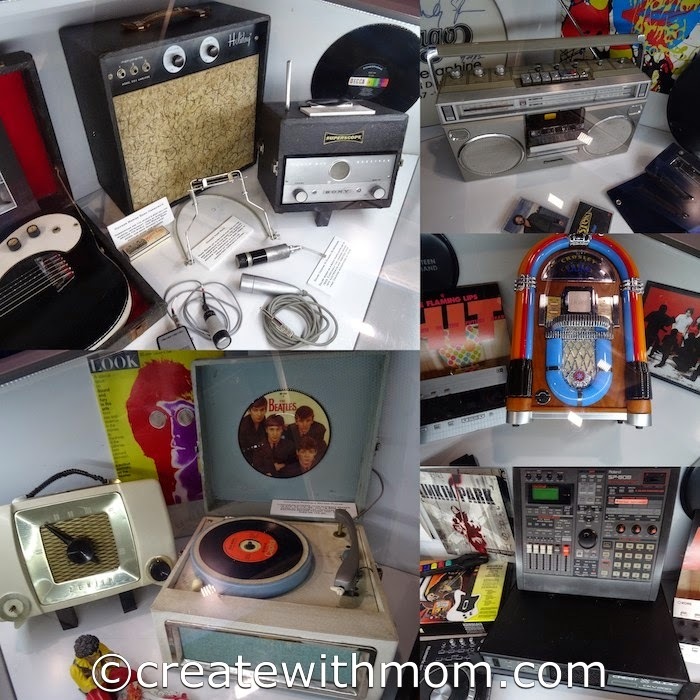 • Recording Rock teaches visitors how recording studio technology has affected the evolution of music with fascinating stories behind how music has been captured over the last 140 years. • Careers in Rock highlights the numerous careers that are available in the music industry both on- and off-stage. • Concert Experience immerses visitors into a virtual setting of a live concert using a twenty-foot high video wall, light show and crowd effects. It’s the ultimate finale to The Science of Rock ‘N’ Roll. • Memory and Music explores the link between music and memory. How is it we can remember a song we learned when we were eight years old but can’t remember what we had for lunch three days ago? • Just the Hits considers what makes chart-toppers so catchy. Why do parts of certain songs like earworms continue to play in our heads long after we’ve heard them? • New Technology and Making Music showcases technological advances in music. How does new technology affect the musical experience? Lots of interesting things to see, will have to take the kids this year. The Ontario science Centre is a wonder to behold. I strongly suggest taking your children there. The science centre always has great things to see. We used to have a membership to the OSC, but let it lapse this past year. I am questioning why we did that now LOL. There is always such great and interesting things to see and do there. Love the Science Centre. Don't get there enough! Love the Science Museum but hate the crowds. Seems to be unavoidable though, especially in the summer! Both would be amazing exhibits. I've been dying to take the kids to the Science Centre for ages, I've never been. These just make me want to go more! I would be interested in seeing the Science of Rock ‘N’ Roll. Sounds like fun.